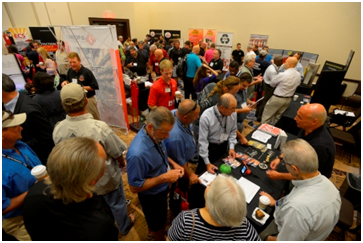 One of the associations that we work with celebrated their 51st anniversary in 2014 at their Annual Conference and Trade Show. After the big 50th Anniversary Extravaganza blowout in 2013, staff had to work hard to ensure that the 51st Anniversary was just as exhilarating, so that we harnessed the positive momentum moving forward. While we were successful in making our 51st Anniversary Conference effective and exciting, we also noticed a trend that we may have been purposely overlooking. As we started looking around the room at the 200+ attendees at the conference, we quickly realized that it was a room with 51 (or more) shades of gray hair. Our members are aging! This means that eventually (soon), they will be retiring and passing their businesses on to their sons and daughters or selling them to current employees or outside parties. And many of these new owners will be younger and new to the industry and the association. While we’ve enjoyed 50+ years of continued support from our current members, we can’t just assume these new owners will embrace the same principles of joining and supporting our association. In order to ensure the continued success of the organization, we are going to have to strategically recruit and retain these younger up and coming members. As our staff and board discussed this new “look and feel” that would be transcending on the association in the next few years, we knew we had to quickly get ahead of the game and create some new services and benefits that would have these newbies not only joining, but embracing and enjoying our association’s activities and services! Tip 1: Technician Subscription – We developed a Technician Subscription Program that would allow up-and-coming professionals to try out and participate in our association without investing a lot of money and time. 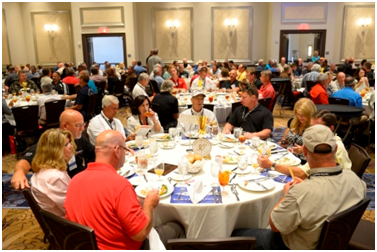 Our Technician Subscription Program allows participants to receive all association communication (including the quarterly magazine), attend one educational seminar at the member rate and participate in other member benefits for a one year period; all at a very affordable rate. We even offer quantity discounts off multiple technician subscribers from the same company. Since we weren’t sure of the success of this venture, we decided to offer this as a subscription service rather than a membership type, which would have required a change in our bylaws. Since its inception, we now have 28 new technician subscribers, many of whom are under 40 and excited to be a part of our association! We see these 28 technician subscribers becoming true new members in the near future! Tip 2: Social Media Presence – Social media has become very important to the success of associations in today’s world. Per USA Today, a recent study conducted for an online casino found that one in four people spend more time socializing online, via sites such as Facebook and Twitter, than they do in person. This means that 25% of the population would rather spend time communicating online than communicating in person. With this statistic (and the many others found online), we knew that we had to accelerate our social media presence in order to attract and keep our younger generations of current and potential members interested and excited about our association. We did research and developed a weekly marketing plan to ensure that information was posted to our social media sites 2-3 times per week at a minimum. We also worked hard to ensure that different information was posted on each of the venues so that visitors didn’t see the same posts on all of the social media sites. Finally, we created an email newsletter called Agents of Change that we use to remind our current and potential members to visit our social media sites on a regular basis. With this new focus on social media, our online presence has grown tremendously! Tip 3: Mentoring program – We are currently developing a mentoring program, where we will partner a more experienced (gray haired) member with a newer (younger) member or potential member. They will communicate via social media, email, phone, etc. throughout the year and then meet in person during our Annual Conference. Our goals with this mentoring program are two fold and include the sharing of a wealth of industry knowledge from the well-oiled professionals with the newbies and also the importance of supporting their industry trade association. Only time will tell how successful this mentoring program will be, but we’ve already had some good support on both sides! 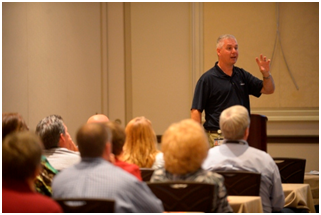 Tip 4: Seminar Topics of Interest to Younger Audiences – Like most trade associations, many of the educational seminar topics we offer are driven by the rules and regulations of the state requirements for continuing education for our industry. But we are lucky in that some of our required educational requirements include Business Practices, which can cover an array of topics. With our new goal of attracting younger members, we have recently offered seminars like website marketing, online reputation management and online marketing to grow your business. In 2015, we plan to offer even more topics (both in person and online) that are of interest to the younger audience and play upon their preferences to communicate and learn differently. We have received very positive feedback in our post-seminar surveys about these new topics! Tip 5: Member Grandstanding – In today’s world, we all love to share any and everything about ourselves on our personal social media sites, but very seldom does this information get shared with your association. We are now encouraging our members and subscribers to brag about themselves and their accomplishments and to share this information with their association. We are creating areas on our website, social media sites, in our magazine and other member communications to allow other members and interested parties to learn more about the association, members and industry. This information adds a human touch to the association, but also may inspire others to share and do great things! Thanks Amy for providing this post!